Starehe MP Charles Kanyi aka Jaguar seems to be so unlucky. The lawmaker has been involved in yet another road accident barely a year after one of his cars killed pedestrians along the Makutano – Sagana highway. 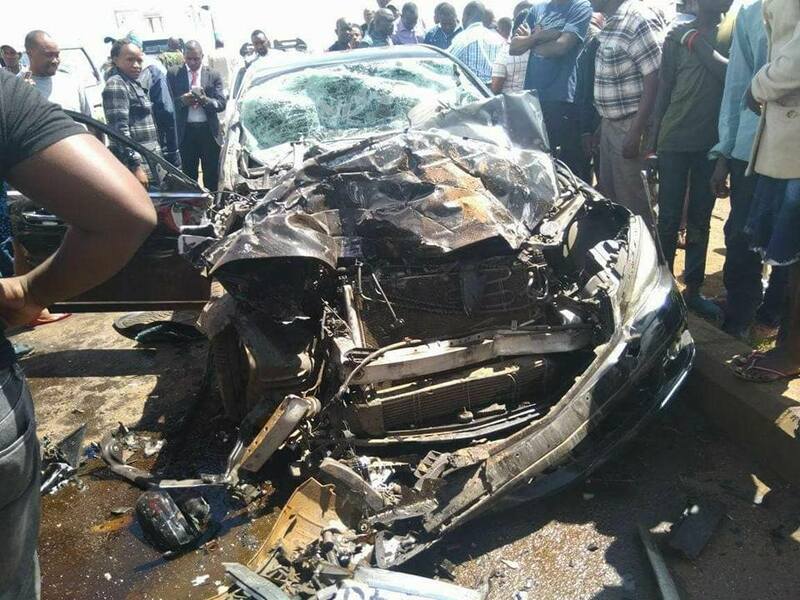 Jaguar’s motorcade is said to have been involved in the accident at the Juja weigh bridge along the busy Thika superhighway. According to witnesses, Jaguar’s car had already passed the accident scene and those who were involved in the accident were rushed to the hospital though they weren’t severely injured. This caused a major traffic snarl up along the superhighway.